Looking for a job in South America? We have so many prospective expats who contact us who are younger, have families to support, and need to find ways to make a living. For this reason we are seriously looking for helpful information for you. We are notorious for our lack of faith in governments to follow through on obligations to citizens, including the Social Security program in the United States. We are old enough to remember when Social Security was referred to in the U.S. as “social security insurance.” We have more recently been told that it never was insurance but is an “entitlement” and that Social Security was just another tax. That sure is news to us. That wasn’t what we were told. 60 years ago when we started paying Social Security tax. We think that when governments begin the “switch” part of bait and switch it’s time to pay attention. Not that we think it’s going away tomorrow, but we do suggest that even retirees develop more than one stream of income. Or even two or three. Our guest writer today has done exactly that. She has graciously shared the story of how she did it–in Uruguay. We point out two factors in her success. She did have an advanced degree (as do many of our subscribers) and she started learning Spanish before she left her home country and then continued to learn after her arrival. The decision to move abroad is big enough all by itself. All sorts of stories seem to arrive at your door! Before moving to Uruguay, I heard all sorts of information about living and working here. I wanted to continue working in order to have an even better life than we already have living mostly on our Social Security. And Uruguay is not one of the cheaper South American countries! I decided to look for a job. After twenty-five years experience building a successful spa business in the states, I thought I would do the same thing here in Uruguay. But I was very wrong! Those doors all closed. I had completed my TESL (Teaching English as a Second Language) courses. I thought it would be fun to do the main thing expats are told we can easily do in a foreign country – teach English. So I handed out my resumé or Curriculum Vitae at different schools and colleges in our area–greater Punta del Este. In Uruguay and other parts of South America, unlike in the United States, the term “college” refers to kindergarten through twelfth grades. I was interviewed briefly at one of the schools, St. Clare’s College, and then given an appointment for a full interview. I hold a doctorate as well as bachelor’s degree in education and a master’s in humanities. I had planned to teach only English as a second language, but I was asked to teach their Business Studies class because of my business experience. I loved the teaching. I really wanted to teach more and asked for more classes. They didn’t have any by then, of course. Then one day an acquaintance told me there was a new International school being built in Punta del Este and she wanted me to send her my Curriculum Vitae so she could present it to them to consider me for a teaching position. That was about three months ago. I sent it immediately. This school is going to be the premier educational institution in South America. It will be state of the art with the most current technology, sports, library, coffee shop, swimming pool, housing for boarding students and housing for some of the instructors who are coming from other countries. The new school is already funded by several incredibly forward thinking people, has an impressive board of directors, and has the blessing of the president of Uruguay. I have been invited to be part of the founding faculty at the new school. The offer they made me was beyond wonderful. The pay is at the top end of what normal teachers and administrators make in Uruguay, and, let me assure you that we won’t have any money troubles! The new principal, Iara Lindemann – who is quite a wonderful person – said she wanted me to be in charge of one level of the high school students and co-teach a creative class with her, plus I will be teaching my Business Studies classes, plus I will be co-teaching eight periods of English Second Language, and two periods of reading and comprehension classes. I was thrilled. They were inviting me to a full-time position which I readily accepted. I’m definitely excited. So, NOW, I could write this article for you because now, I understand the whole process of what happened. Several people have said I was very lucky. But I think it was more than luck. One of our dear friends said it this way — I laid the groundwork. ; I had studied a little Spanish in the States before coming to Uruguay, and studied for a couple of months with a private tutor after arriving here; I followed through and showed up when asked to; I took an initial position with another institution that paid less and didn’t have as much work as I needed or wanted, and my reputation got me in line to get the second job. It was because I was at that first job that I became friends with one of the other teachers who put me in touch with his wife, and this new and wonderful position. All the little steps that come together when a person is where they ought to be are truly a great experience. We love it here, and I can’t wait to begin working together with the team at International College. St. Clare’s has also told me the door is always open if I ever want to come back. One good thing just keeps leading to another! Additional note: Because of the fantastic Uruguayan woman who helped us when we arrived here in Uruguay (Ana Ines), we received our Urguayan temporary residence card within two months of our arrival and could thus work here. Pretty slick. Learn Spanish fast the easy way. FREE sample lessons here. Hi. 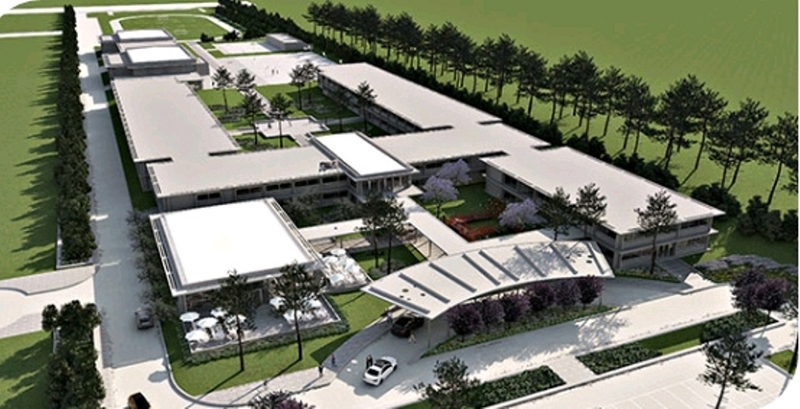 I did a write-up on the college for anyone interested they can find it here: http://www.focuspropertiesuruguay.com/infos/New_International_College_unveiled_in_Punta_del_Este_Uruguay/info.html.